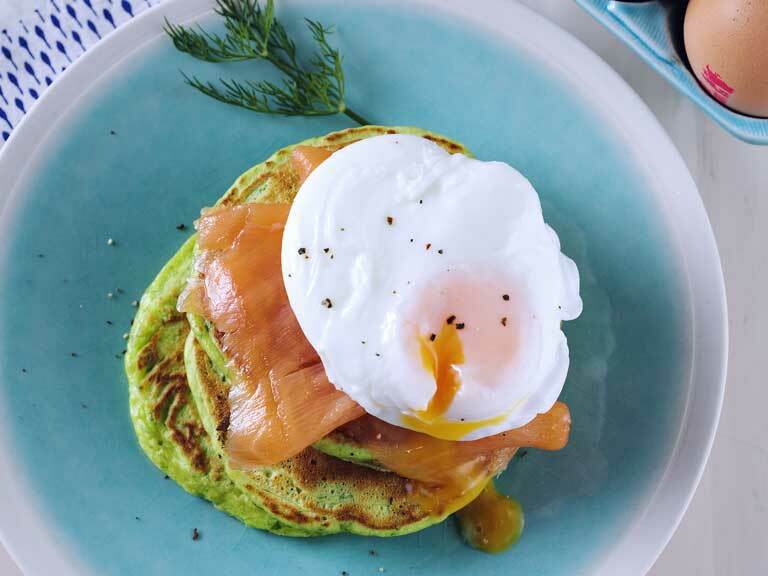 These quick spinach and dill pancakes make an excellent brunch or lunch. 1. Place the spinach, dill, 2 eggs, milk, flour, sugar and seasoning in large bowl. Blend everything together to make a smooth batter - it will be thick like yogurt. 7. Serve with the lemon creme fraiche and lemon wedges. Our thanks to British Lion Eggs for providing this recipe.